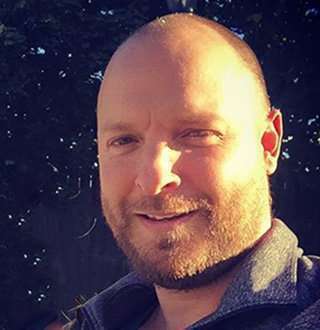 American journalist Ryen Russillo has often faced rumors on his personal front due to his covert nature on the relationship status. The Wyoming native is a prominent face on the ESPN network, who was a host of ESPN Radio's syndicated sports talk show, The Ryen Russillo Show. He currently serves as a producer of a new podcast on ESPN. On 13 August 2018, Ryen Russillo appeared on Espn's show, 'Get Up! ', where he reacted on whether Bary Bond deserved the hall of fame candidacy. He was joined by former American professional basketball player, Jalen Rose. Ryen firmly stood behind Bary Bond, stating that he knows what kind of person Bary is, he agreed with American former Major League Baseball center fielder, Willie Mays, stating that Hall of Fame voters to get Barry Bonds into the Baseball Hall of Fame. In December 2017, it was announced that Ryen Russillo was leaving ESPN to pursue other opportunities. But that seemed to have changed according to a report from the journalist, Richard Deitsch. According to Deitsch, Russillo is expected to sign a new deal with ESPN soon. The deal will be a lucrative one which will most likely also include a podcast and some more TV work. Being a huge football fan, it remains to be seen how Russillo deals with the situation. Born on 5 August 1975, Russillo is a native of West Tisbury, Massachusetts. He graduated from the University of Vermont in 1997. He started his career in the podcast from the Sporting News Radio-affiliated WWZN radio station. He hosted the podcast, The Die Hards in WWZN from 2003 to 2005. Later he moved to WBCN, where he did pre-game and post-game commentary for the NFL team, New England Patriots on the station. After working for WBCN, he joined ESPN in 2006 and started appearing in various sports-related television shows in the network. He hosted ESPN Radio College GameDay from 2008 to 2014. During the time, he co-hosted a radio podcast, SVP & Russillo alongside Scott Van Pelt from 2009 to 2015. The show was later renamed as The Russillo Show after the departure of Scott Van Pelt. From 2015 to 2017 he runs the new show, Russillo, and Kanell alongside co-host, Danny Kanell. In August 2017, Ryen was arrested on criminal trespass charges after entering a private residence in Wyoming. The Jackson Hole News reported that a "highly intoxicated" and naked Ryen sauntered into the wrong Wyoming condo and refused to leave and was too incongruous to answer questions. Later he secured his release from Teton County Jail on the same night on $250 bail. He was suspended by ESPN following his arrest for more than a week. On 5th September, he returned to ESPN radio show and addressed about his arrest. Ryen took full responsibility for the incident and acknowledged about the ESPN suspension on him. After, three months, Ryen announced that he would be parting the ways with ESPN to pursue other opportunities. Currently, he is involved in ESPN producing a new podcast on the network. He is undoubtedly a veteran personality for the ESPN network. He has amassed the stunning net worth for his long stint to the media. For his long tenure on ESPN, his salary was more than $41,000 per year, the average salary of Sports Reporters in ESPN. According to Coed.com, his net worth in 2018 reaches approximately $2 Million. The prominent sports host was born on 5 August 1975 in West Tisbury, Massachusetts. He received graduation from the University of Vermont in 1997. Ryen's Rumored Girlfriends; Who Is Wife-To-be? He is close-lipped regarding his dating status. However, his comic posts on his social sites have often bewildered his followers. Back in 2012, he shared a funny tweet stating if he were married, he would call 9am-1pm on Sunday his "married window," which is the only time on a weekend he would want to pretend to listen. He was often mentioned as a boyfriend by his ESPN companion Cari Champion on her Twitter posts. Their closeness at the workplace has manifested their special relationship. However, Ryen cannot be given the boyfriend tag as they share a good bond of friendship. Similarly, his dating rumors with another work-companion, Sara Walsh got shattered through his post on social media. He even answered the rumors with Sara through Twitter stating that he was not dating Sara, who was his neighbor and her husband is super hot. In the ESPN chat in April 2017, one of his fans asked about his girlfriend, and he denied that he has a girlfriend. It shows that Ryen is yet to find a wife-like partner to taste success in his personal life concerning his professional life. See Also: Migos' Quavo Relationship Status In 2018; Dating A-Lister Girlfriends - Details! 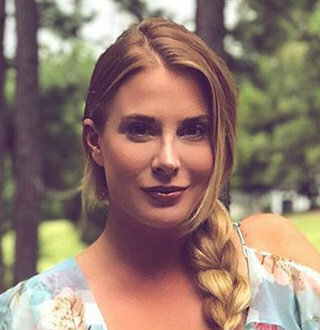 ABC 7 Ashley Brewer Finally Found Husband? Who Is He, Meet Him! Scott Hanson Salary | Ginormous Net Worth, Just Like His Counterpart? Shannon Sharpe Struggling To Get Perfect Wife & Girlfriend, Married Now?